As a person coming from Canada, where there is the largest percentage of the world’s freshest and cleanest drinking water, it is a hard concept to grasp. But in 2000, the Bolivian government was influenced by the Bechtel Corporation of San Francisco and the World Bank to privatize their water system. The company took over small wells, pumps, and most other public infrastructure, all with hopes of providing service to thousands who were without it. They expanded the system, but prices for consumers jumped. Many could no longer afford to pay, but the broad agreement between Bechtel and the Bolivian government gave them few alternatives. High water prices quickly led to months of mass demonstration, dubbed the “Cochabamba Water War.” The protests — galvanized by violence and the death of a teenage boy — were intense enough that the Bolivian government withdrew from their contracts, backing down from the agreement. Here in Mexico, access to clean water has been one of my largest struggles. When meeting with friends for food and drinks a broke student usually opts for the free glass of water in order to save a few dollars while still sharing quality time with friends. This was my general habit in Canada, but here in Mexico it is a completely different story. Drinking water from the tap will send you straight to the bathroom. In many communities running tap water is scarce and some resort to using watering holes that are close by because they don’t receive any water from their local municipality. But some of these watering holes run the risk of being even more contaminated than the running tap water from the city. In some small communities, the water source is close to where they keep their garbage. Others use what water they have to bathe and wash their clothes. Needless to say, this is not an ideal option and can lead to many different health risks. In one small community just outside of San Cristobal de las Casas called “Dos Lagunas,” there is a community that collects rain water through two lagoons and around their homes. Once rainy season is over, the community relies on the rain water collected to last them until the next rainy season. But sometimes that rainwater does not last that long. When I think back to the simplicity of being able to take a glass from the cupboard and put it under the tap at home, the lack of clean water in Mexico can be hard for me to grasp. Even boiling water won’t completely decontaminate it. If one wants to purify their water, their best option is to use a chemical treatment such as chlorine or iodine. 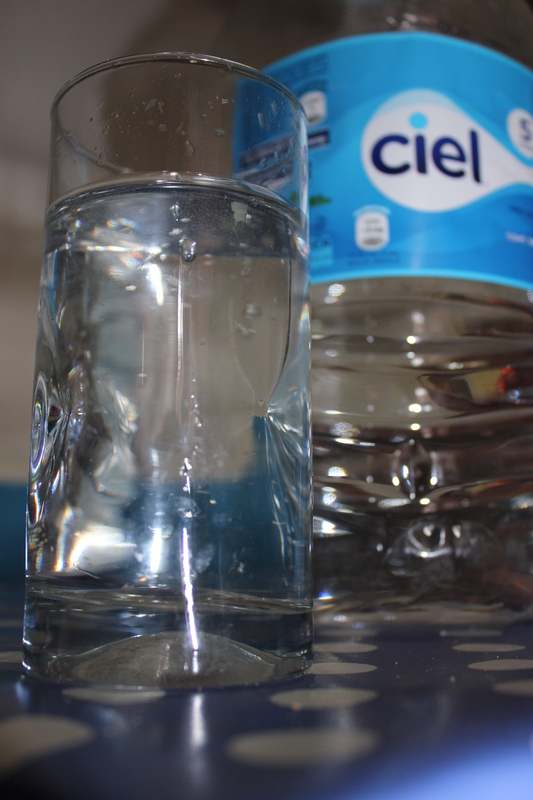 In Mexico the running price for a bottle of water is around 10 pesos ($1.00 CND), pretty similar to what we pay in Canada. But when we are supposed to be drinking around 2-3 litres per day, having to pay for every bottle of water can hike up a large bill, especially for big families. Families purchase jugs of water from trucks that drive by while others find alternative ways to quench their thirst. Some people purchase Coke, because it quenches both their thirst and their hunger. Caffeine is a hunger suppressant which allows the consumer to remain satisfied for a longer period of time. The problem is, caffeine is also a dehydrator and fails to provide proper nutrition. For someone who comes from a country where clean water is seems more like a right than a privilege, it’s hard to adjust to the difference between our societies. In Canada, we tend to take water for granted, but many other places cannot.